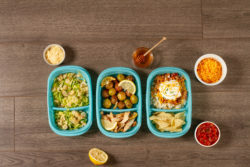 Gone are the days of the holidays, and back to the hustle and bustle of our day-to-day, which means it’s time to start meal prepping again. We have to put together a few of our favorite recipes and tools to help you get back into the swing-of-things and prepare for your breakfast, lunch, and/or dinner for the whole week. Split containers are a great way to keep things from getting soggy. Put your carbs or sauces in the side container for an extended storage time. Rice cookers will save you a ton of time and your pot from spilling over. Invest in a rice cooker to make meal prep and life much easier. Mason jars are an excellent way to store breakfast. They are microwave and dishwasher safe making heat up and clean up a breeze. Sheet pans are the best way to make multiple days of roasted food in the same batch. To make it even easier, line each sheet pan with aluminum foil to make clean up incredibly easy. 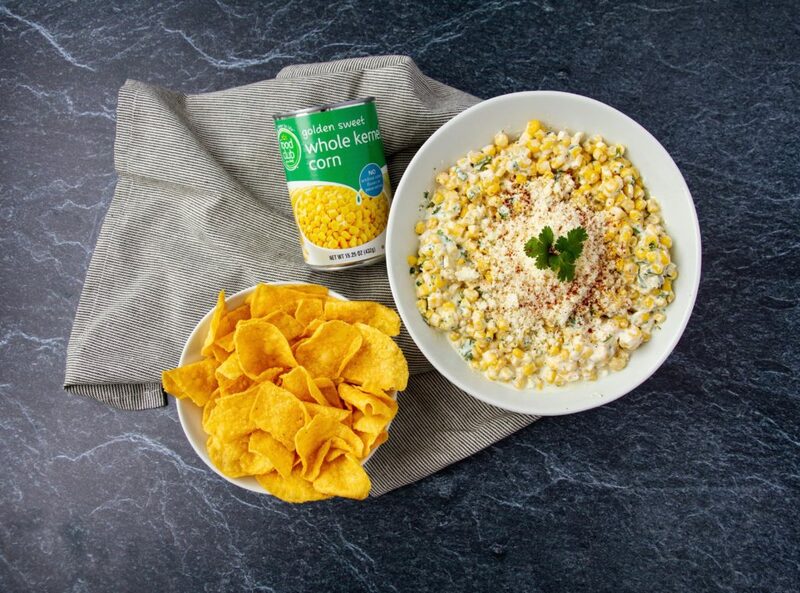 Dinner just got a whole lot easier with Home Table! 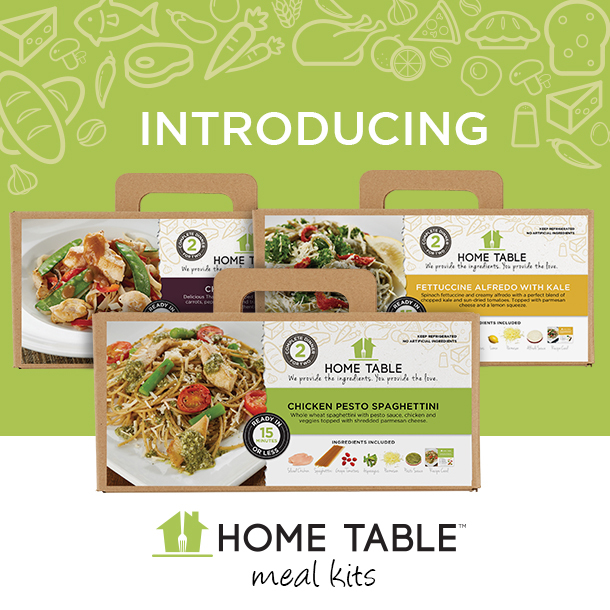 Home Table meal kits get dinner for two on the table in 15 minutes or less. Only the freshest and finest ingredients are used to ensure a delicious meal that is sure to satisfy your taste buds, wallet and busy schedule. 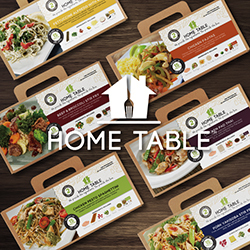 Learn more about Home Table meal kits here. *All recipes listed above may not be available at all store locations. A stress-free thanksgiving centers on planning. 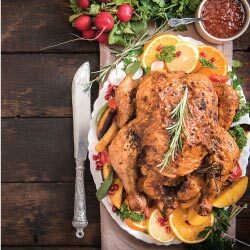 If things are thought out, well planned and prepared ahead of time, your thanksgiving meal is sure to go off without a hitch. Plan ahead: At least a week in advance plan your meal. Don’t make generic plans, be specific and decide exactly what you want and how you want it. Once your plans are made, delegate to your guests and then make a shopping list. If you are planning to purchase a frozen turkey, be sure to purchase it at least five days in advance so you can start the thawing process. There are several ways to thaw your turkey, click here to learn about the different methods. Remember each safe method takes time. Stick to what you know: Never try a new recipe for a big get-together. You never know what to expect and how it will taste so it’s best to avoid it. Also, remember to stick to the thanksgiving classics: Turkey, stuffing, yams, potatoes, cranberry sauce, pie etc. Your guests will be expecting these things and may be disappointed if you don’t have them. Create a workflow: A workflow will help you manage your tasks and ensure that everything gets done. Be sure to plan some downtime into your workflow so you don’t feel too exhausted when your guests arrive. Work ahead: Many thanksgiving favorites can be made a day or two in advance. Pumpkin pie, stuffing and cranberry sauce all keep well. Some dishes are best when made the day of, but you can get them prepared earlier in the day and then keep them warm. Did you know you can cook and mash your potatoes several hours in advance? After you mash them, place them in a slow cooker to keep warm. Assign clean up duty: If you’ve been in the kitchen all morning. You deserve a break. Assign your spouse, kids or well-known guests to help you clean up. There is nothing worse that cooking all morning and cleaning all evening; so remember, it’s okay to ask for help. Most people are happy to lend a hand, especially, when they didn’t have to host Thanksgiving. So start your planning, make your lists and stop by one of our locations today. We have everything you need for your thanksgiving meal and our friendly team members are here to help you celebrate thanksgiving without stress. If you want to take stress-free to a whole new level: check out our Thanksgiving meal options in the deli. 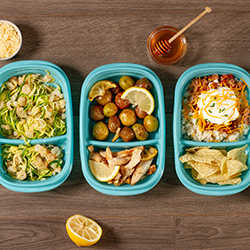 You can pick up a prepared meal so you don’t have to worry about the cooking and can spend even more time with your family and friends.